Fixed or mobile dental prostheses to smile again! One of the most innovative and modern techniques for restoring missing teeth and curing eutolism is implantology, that is, the application of fixed dental prostheses by means of titanium pins or biocompatible material of endosseous implants. Thanks to osseointegrated implantology, you will be able to smile again thanks to an optimal aesthetic and functional result that looks exactly the same as your original teeth. For osteointegrated implantology procedures in province of Venice and Padua, you can rely on our professionals and experts in Studio Dentistic DentiAmo, who have been helping you with your teeth and overall health for over 20 years now with their complete, convenient and safe service. Immediate loading implants: your new teeth in less than 24 hours! At Dentiamo, in province of Venice and Padua, you can also experience innovative and risk-free techniques, including dental implants with immediate loading at low costs that restore the dental arch, and occlusion, all in one session. 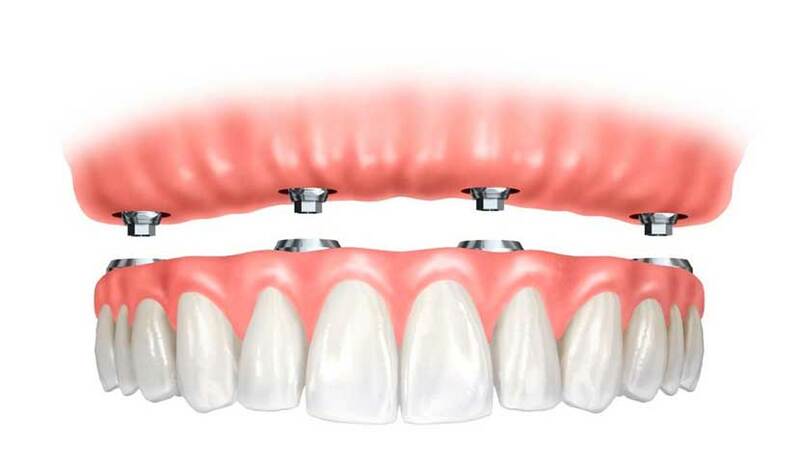 This technique is also suitable for those with low bone capacity, or with the application of 4 or 6 implants at a time. DENTAL PROSTHESES GUARANTEED FOR LIFE! At Dentiamo dental clinics, we issue an implant passport, which is a small folding card that is given by the dental practice to patients undergoing implantology treatment. 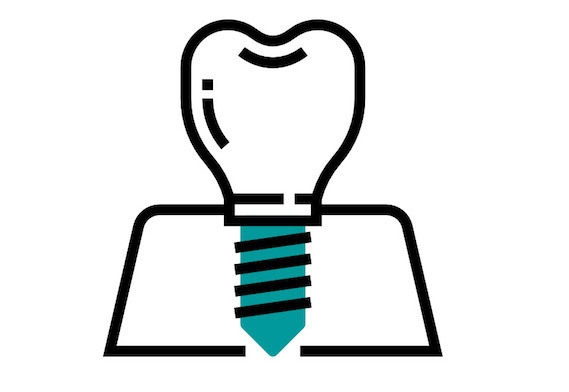 It contains all the information concerning the dental implant that is applied; if necessary it also then becomes a useful reminder to the doctor. 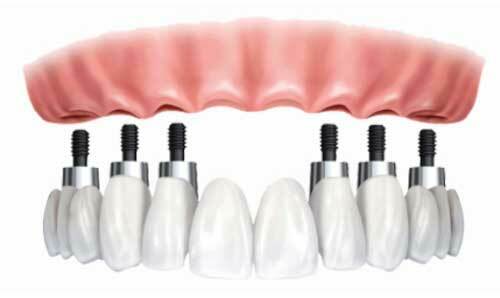 Our dental practice guarantees dental implants for life. You can count on the integrity of our certified and qualified doctors, who use safe, biocompatible materials, providing you with ongoing post-implant savings of up to 55% when it comes to implantology, thanks to our competitive special rates and exclusive promotions. 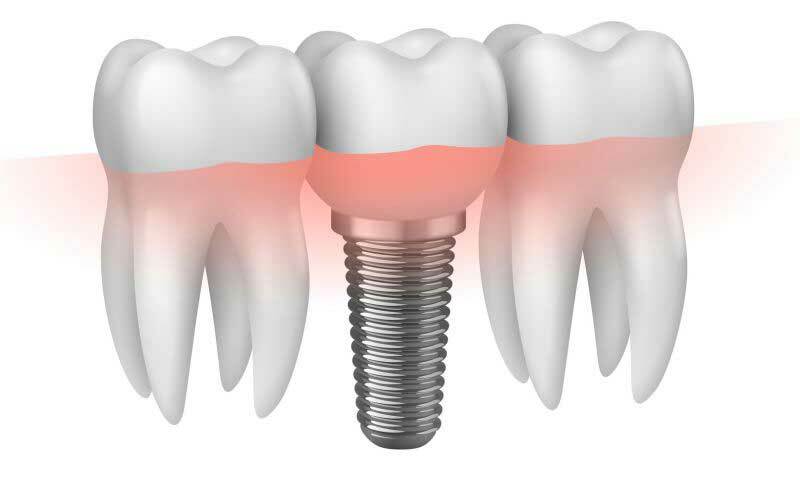 REPLACE ONE OR MORE TEETH: HOW IS THE ENDOSSEOUS IMPLANT? After a complete examination, dental overview and interview with the patient, the dentist will find the best ppossible solution for permanently and safely restoring your teeth by replacing one or more teeth. There are numerous techniques for oral implants, and the surgical procedure involves the extraction of teeth that are damaged or not fitting, and the subgingival cleansing, followed by the integration inside the mandibular bone of pins in Titan Pure or biocompatible alloys which then minimizes the risk of rejection. These osteointegrated pins will be used to apply fixed dental prostheses, ceramic crowns of hydroxyapatite, a color material very similar to the patient’s original teeth, to harmonize the smile and give a natural effect. The intervention takes place under conscious sedation, so the patient can participate in all phases of the implantation along with post-operative pain control, in a calm, relaxed manner, all under the dentist’s medical supervision.